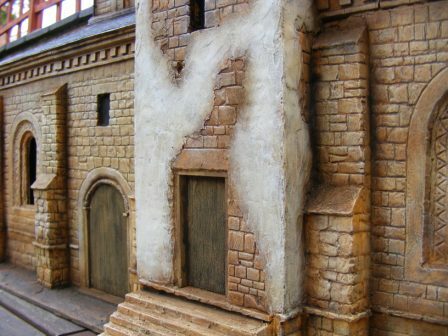 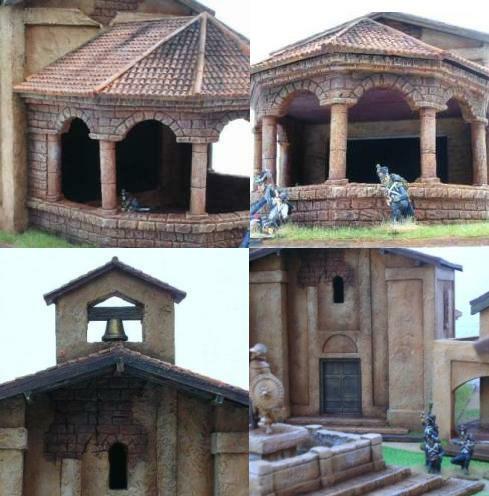 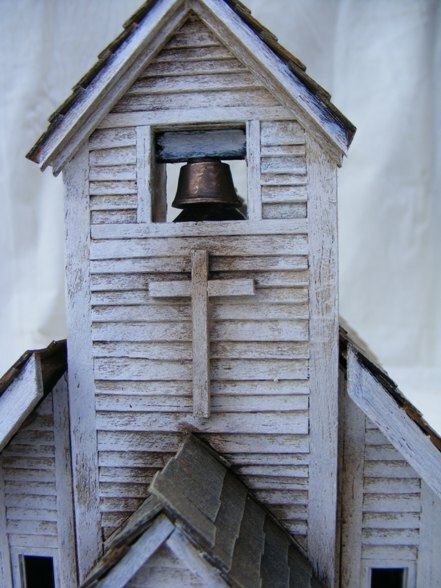 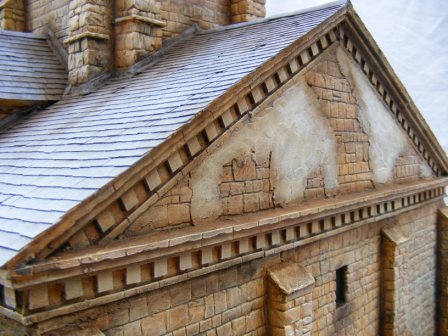 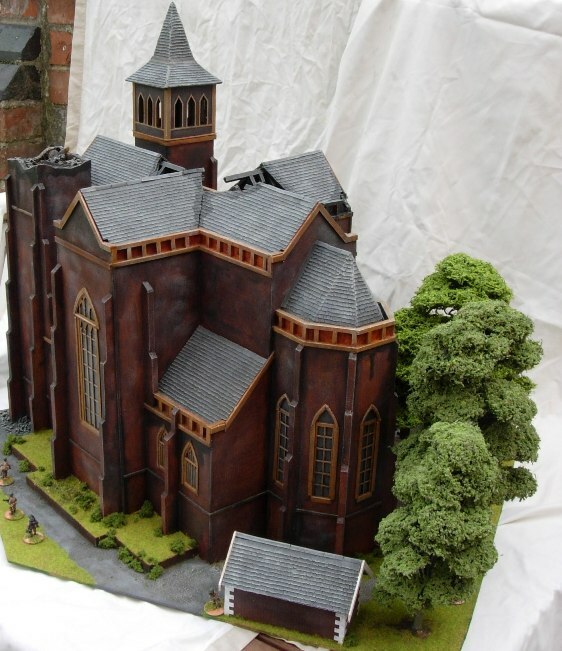 TMterrain have made lots of different churches covering most of the continents of the world. 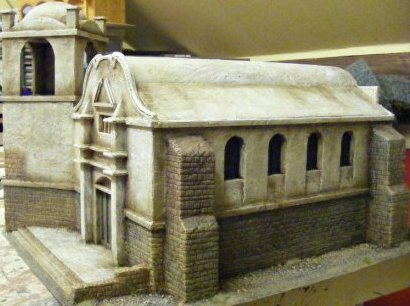 This is a 54mm model and was an enormous piece of work. 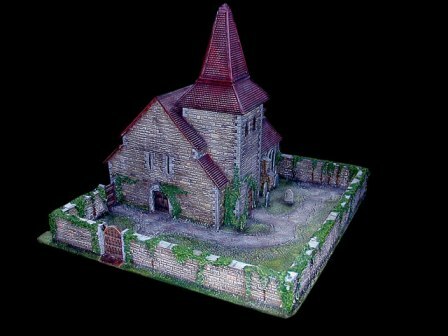 I based it on a number of photos of Normandy churches, I took bits I liked and brought them together into the one model. 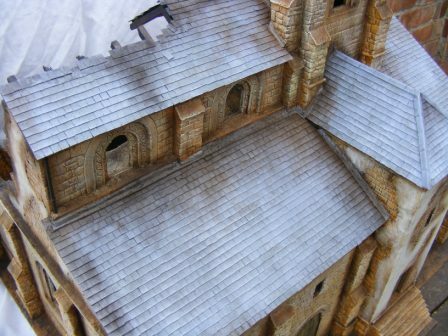 The whole model is pretty much resin pieces glued to a very sturdy framework, although the tiles are put on individually by hand. 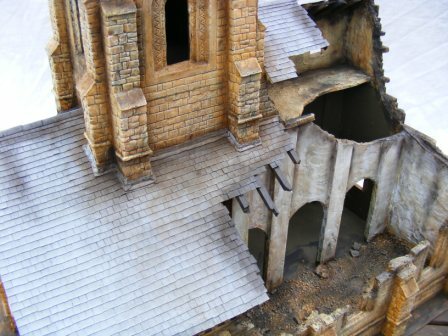 This is the first building where I used so much resin sections. 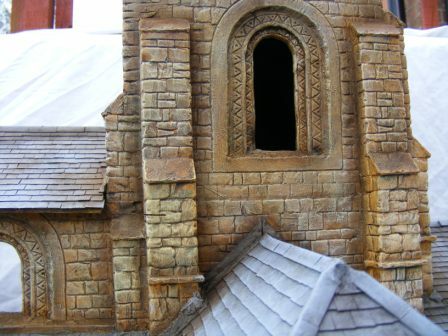 It worked very well so will probably be doing more of it. 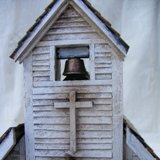 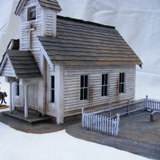 The smallest scale church I have done is in 20mm but most are 25mm scale. 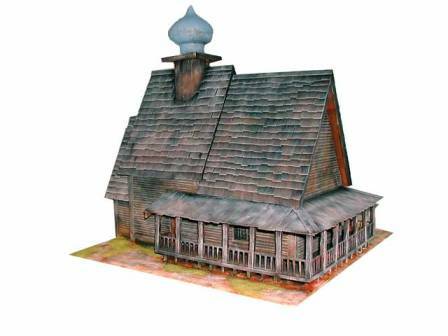 One of the most interesting projects was the Russian wooden church. 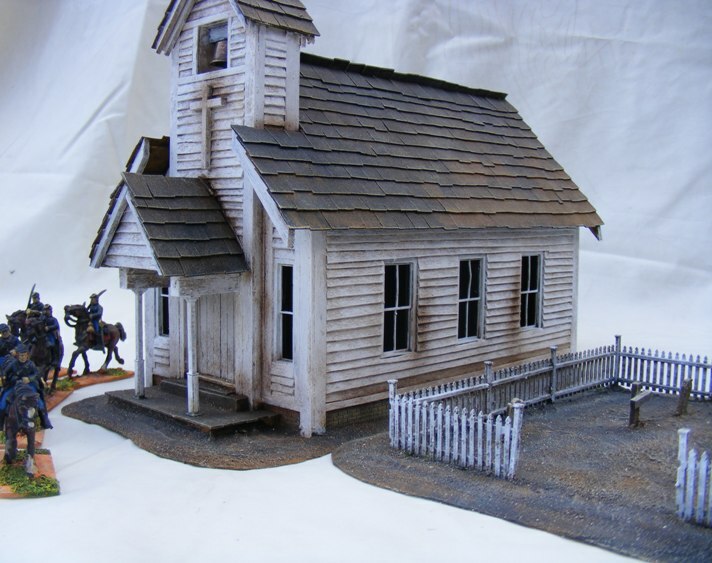 Based on a photograph, I used a resin dome but everything else was scratch built.I liked the proportions of the model along with the steep angles of the roof and the small porch running round one end of it. 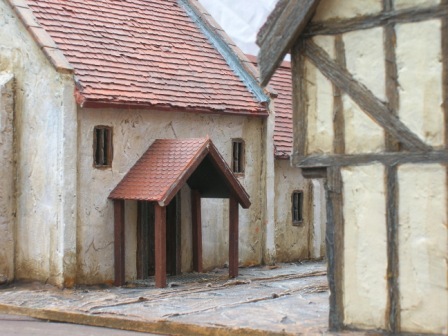 also have a soft spot for wooden buildings! 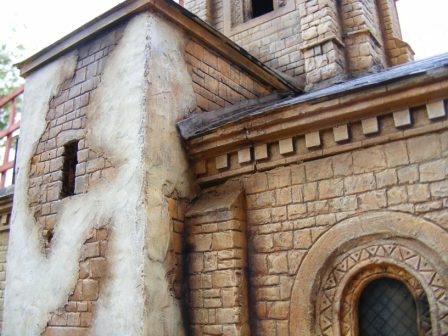 Saying that, the vast majority of the churches I have made are made to look like stone. 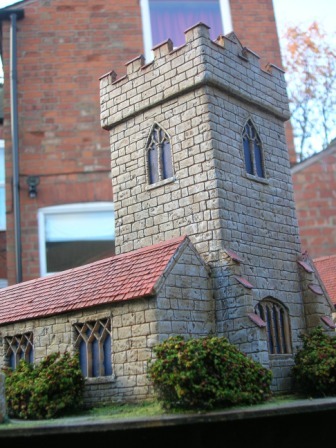 Churches often are commissioned by themselves. 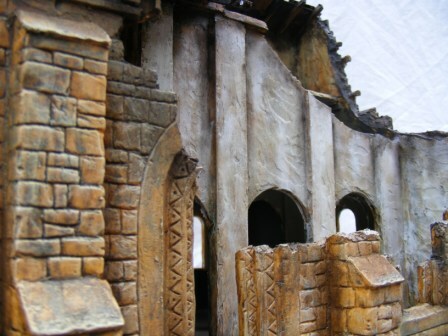 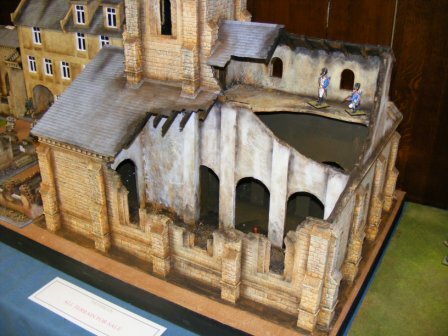 It is often the centre piece to most villages and a scratch built one makes the whole village look unique. 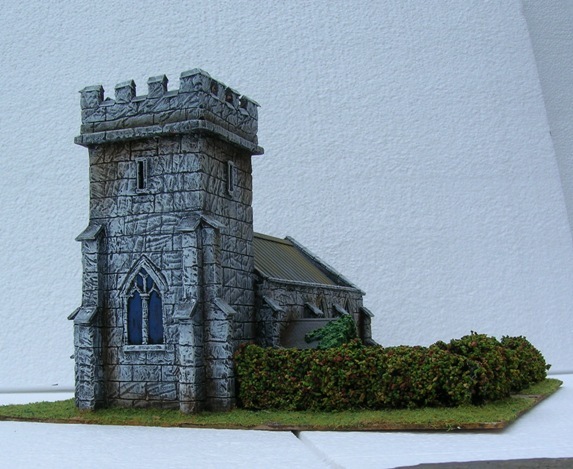 I have done a few chapels as well. 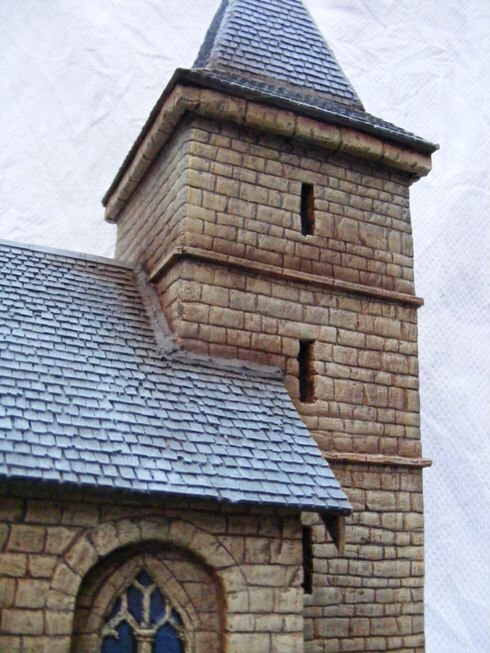 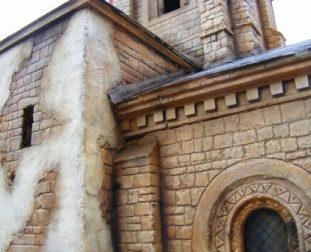 These are great to do as they are far less grand than towered churches so you need to make them special by using an interesting design or some other technique that catches the eye. 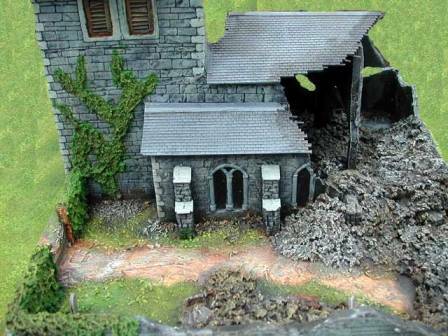 This picture is of a Spanish 40mm one I did for the Peninsula wars. 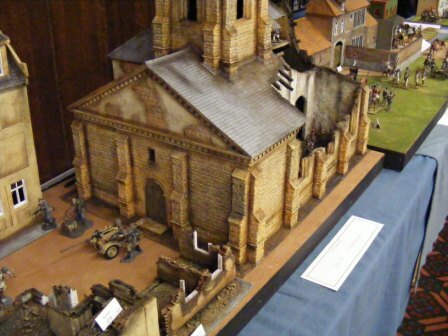 St. Walburgis church,Arnhem,York chapel and church,magnificent 7and the newest addition Wild West town.